My friend Harry Itie is a wonderful Media personality. In addition to his blossoming brand and good heart, he has aptly made #GreatVibesOnly his tagline. In commemoration, he got permission from some remarkable indigenous artistes to share their music. Please do well to download the mixtape here. Your ears will thank you. I listened and felt inspired to share my opinion of the songs that were featured in the compilation. Great Vibes only is a 15 (intro inclusive 😏) track of great Nigerian export. After Harry’s original intro, the first song on this “album” is Fola’s Comfortable. This is not one of those songs that I fall in love with at first listen. It had a “90s-RnB-song-I’d-usually-skip” feel to it, and I can understand why Harry might have arranged for it to come first. Harry is a 90s RnB fan ☺It’s generally a well done song IMHO, but it is not a favourite. Juke’s Butterfly came next.I loved this song (loved because it was not the 1st time I was listening to it) and I still love it! It’s definitely one of the eargasmic ones on this compilation. DavidB’s Titi Lai Lai didn’t make so much impression until I paid attention to the songwriting. It was clever and definitely earned points for the artiste. I totally wasn’t expecting it when Mosa’s Femi came on. It was love at first listen. And 100s of listens later, I am ready for the “next” to be a Femi (yoruba demon and all). Totally love it; won’t get tired of replaying it. Femi Leye’s Sise came next. I met Femi at his album launch last year,thanks to Harry and Tolu. Femi is thoroughly gifted at what he does and has a lovely personality to boot. Seeing as I hardly understand yoruba (barely understand…definitely pushing it with the adverbs 😅) his gift is the more relatable quality. I’m sure Sise had a good message behind it. Ric Hassani’s Gentleman played. I was introduced to Ric’s music last year and I am a fan of his voice. Gentleman didn’t disappoint. Nikki Laoye ft Banky W in Onye Uwa Oma came next. It’s not a bad song,at all. But I’m Igbo and I had one reservation. She mispronounced the title of HER OWN SONG, which was basically hook abi chorus. Made me wonder who she was trying so hard to impress (and failing obviously 🤔). If you are going to sing in a different language, at least try to pronounce the word right. It was very distracting. Edword’s Blue Sky wasn’t a bad listen at all. It had a good message to it and that was necessary. Akay’s Parachute was a corny type of cute. A decent enough love song but I hope no one gives him a parachute. He should fall in love “with his chest”. A.D.O.T’s Be my came next. I was initially confused, like the artiste should pick a lane; rapper or singer. Then Harry pointed out that he had someone else doing the chorus, then I could enjoy the song better. But does that mean he is a rapper??? Edez’s Holla is my type of corny cute love song. I’m sure in no time I’d be able to sing and serenade my neighbours with it. The last song on this “album” was Buwa’s Burn. It says it features a Jamal Swiss. Unless Jamal is an instrumentalist, I had little success picking out his contribution to this song. I’d have thought features are supposed to fill a gap. Anyhooo, I like the song. Nice song writing. I really loved that this compilation was missing the usual kpangolo music style popular among Nigerian artistes. These are the important things, identifying your own musical strength and giving it 💯. Music that can be easily identified as your own, with no introduction necessary. 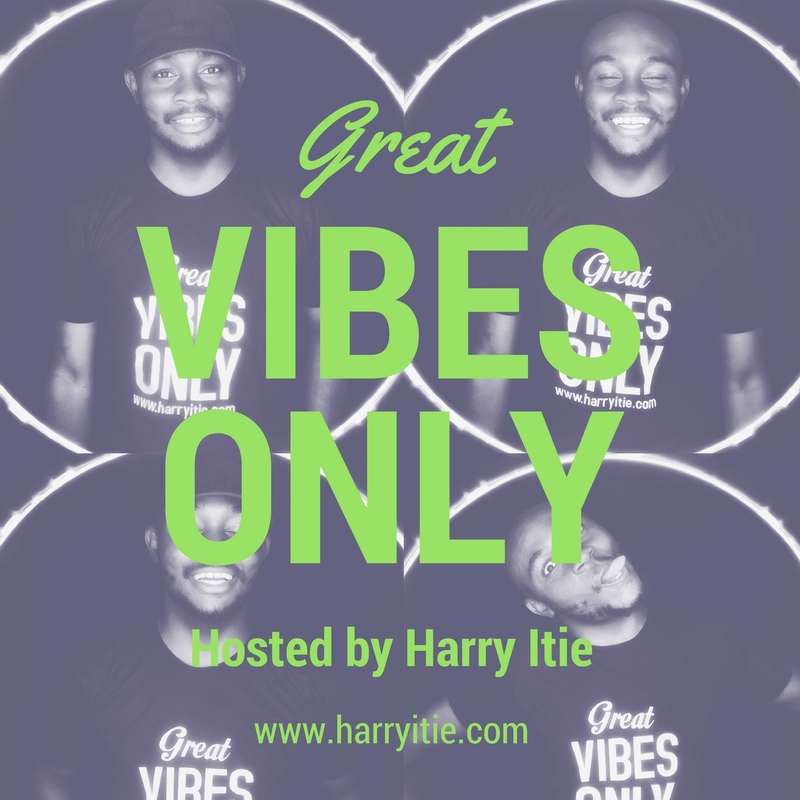 Well done Harry, for introducing us to all these #GreatVibes which did not disappoint at all. I (We) appreciate. And to all the wonderful artistes who let you share their music free, Thank you again. More notes to your music (or however the musically equivalent of “more grease to your elbows” go). God bless your entire hustle. Interesting review, but for me, some of the comments on some of the songs might actually make people not want to listen to them. For example, you totally bashed Onyeuwaoma by Nikki Laoye and Banky W and thats one of the best songs on the list. The vocal delivery, harmonies and message were on point, but all your review says is that she failed woefully in pronouncing Onyeuwaoma. I am igbo, yes they didnt pronounce the word exactly as it sounds, but its an RnB song, so they have creative license to twist it and make it go with the tune of the song. Your assesment makes it sound like an average song with people meaninglessly pronouncing words. A cue to proper reviews is to even find out the message the singer was trying to pass across. From what I read online, Onyeuwaoma is her husbands nickname and it has a variety of meanings from slangs to literal definitions e.g. someone from a good place, a favoured one, someone from heaven, etc. I dont know if you ever heard Chinweike by Resonance in the early 2000s, she is an igbo lady, my mom couldnt make out shat she was singing because of the way it was sung, but once i explained to her, she understood that musically, you can alter the exact pronounciation of words to fit the rhythm. I didn’t say it wasn’t a nice song. I only said I found the mispronounciation distracting. You co’dunlt pay me to ignore these posts!